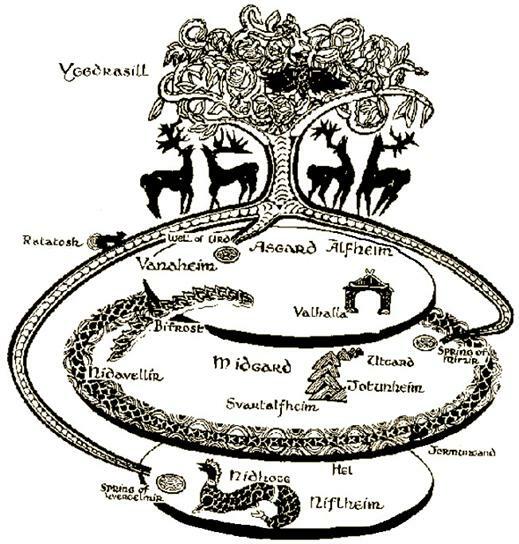 I’ve always found the concept of Yggdrasil fascinating. It just seems so organized and neat. No other mythologies or religions define where heaven and hell are as well. Yggdrasil just makes sense. The roots feed on 3 wells of water – that of death, wisdom and life – pretty much the 3 governing ideas on earth. Hel is located under Midgard (our real world) and Asgard (heaven) above. It feels natural that Hel would be below – sort of as a soil to nourish the tree – we see this as the dead plants and animals in a forest eventually become soil for new plants. The heavens are among the leaves, and is connected to us by a rainbow – a magical sight to most people. The animals tormenting Yggdrasil are also in logical places and have logical jobs. It just makes sense. Baldr’s death is very strange to me. For the life of me I can’t figure out why they would kill off the most beloved of their gods. And with mistletoe? Just strikes me as very weird. 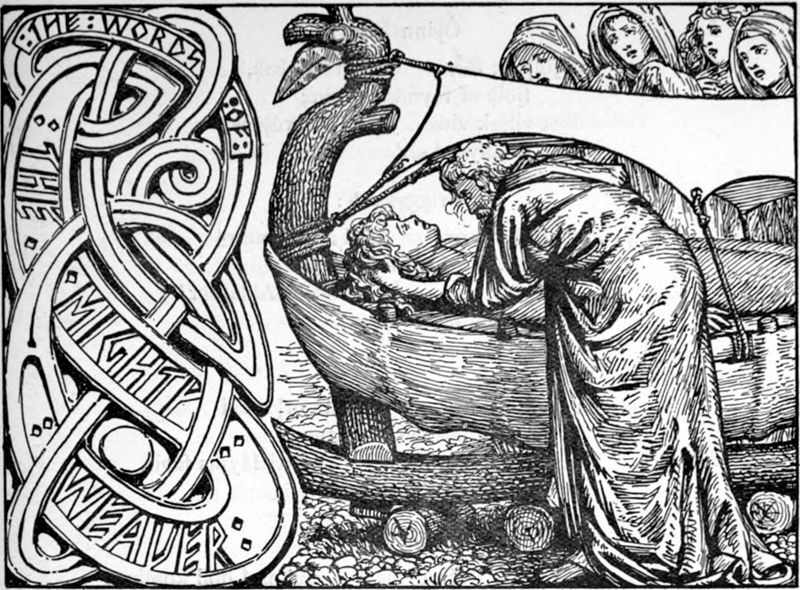 The image above is of Baldr’s funeral. I thought it was very neat. I wonder who’s bending over him – Odinn maybe? Or Hodr? And the four women in the background could be Frigga, Freyja, Sif and Jord perhaps? Got any ideas?